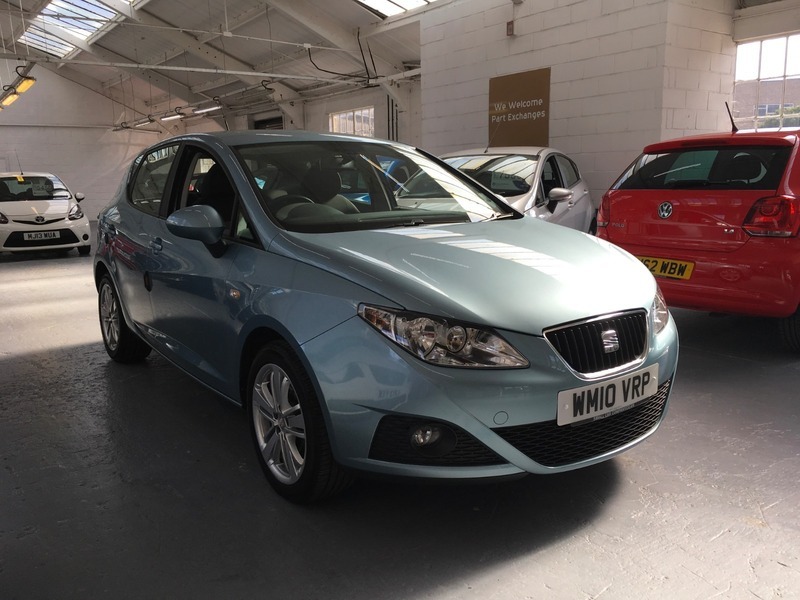 THIS IS A FABULOUS LOW MILEAGE IBIZA 1.4 SE FINISHED IN ICE BLUE METALLIC. IT HAS HAD JUST ONE PRIVATE OWNER FROM NEW AND COMES WITH A TOTAL SERVICE HISTORY FROM NEW(8 STAMPS). THE GENEROUS SPECIFICATION INCLUDES AIR CONDITIONING, CRUISE CONTROL, STEERING WHEEL AUDIO CONTROLS, AUTO DIP MIRROR AND AUX-IN.